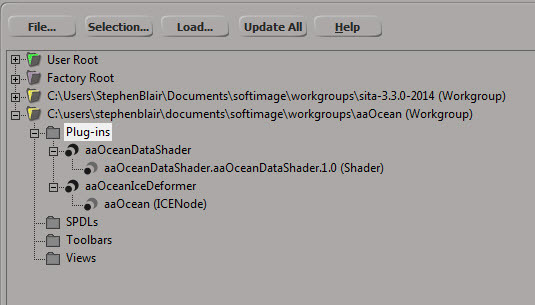 Extract the aaOcean download package. Create a new workgroup (or use the Softimage User location). 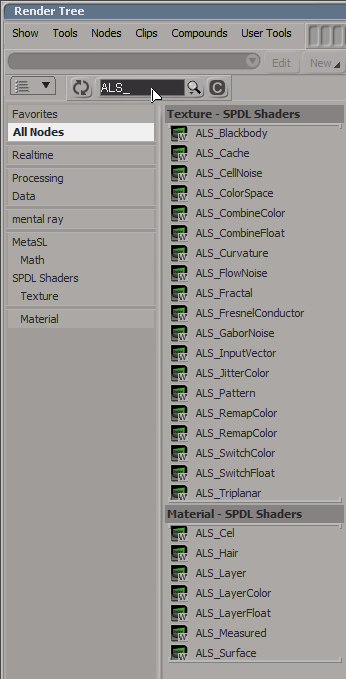 Did you notice that the mental ray version of aaOcean doesn’t have a SPDL file? That’s because it has a shader definition plugin instead. Cross-posted from the Arnold Support Corner. Here’s how to install third-party, SPDL-based shaders, like alShaders, so that you can use them with SItoA.